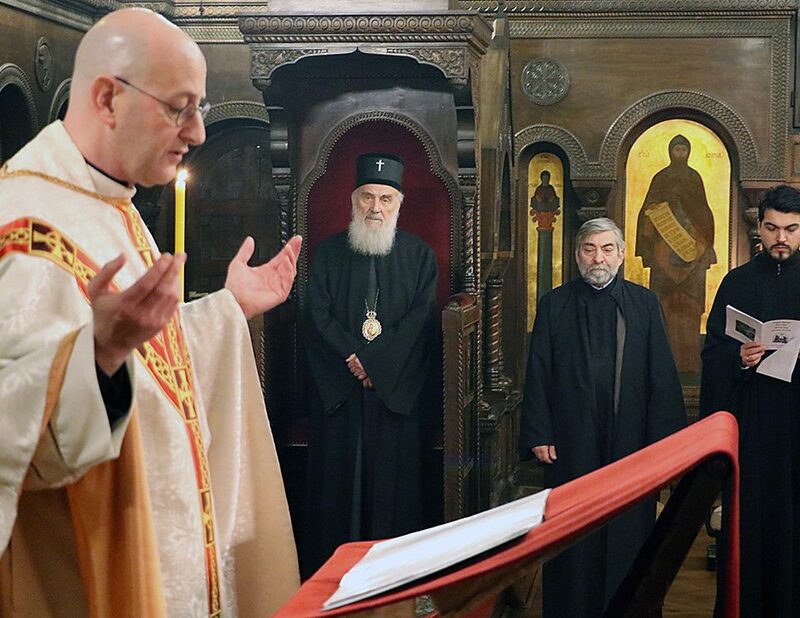 NFTU: Despite continual protest from some sections in the MP, as well as the disagreement of certain Georgian legates, the Moscow Patriarchate has decided to continue to pursue its own full steam ahead policy of the ecumenist heresy. 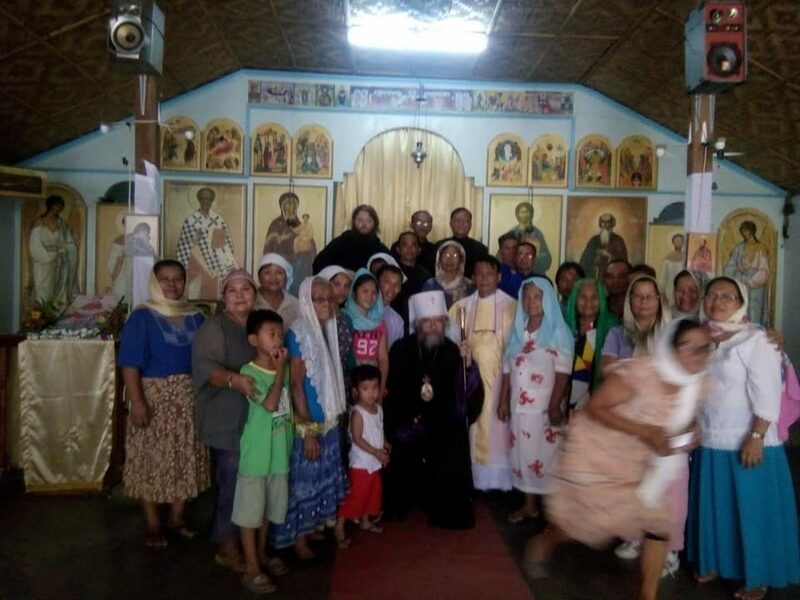 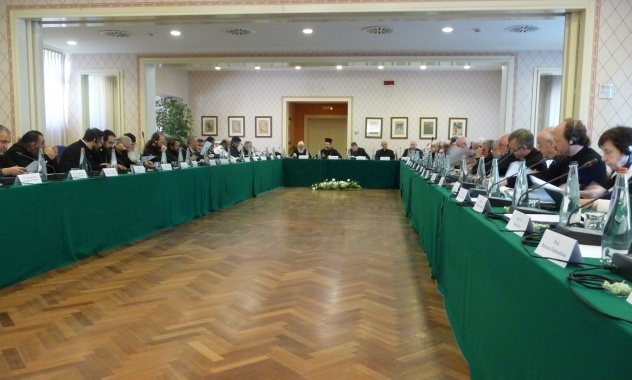 September 21, 2016 – The 14th Plenary Session of the Joint Commission for Theological Dialogue between the Orthodox Church and the Roman Catholic Church completed its work in Chieti, Italy. 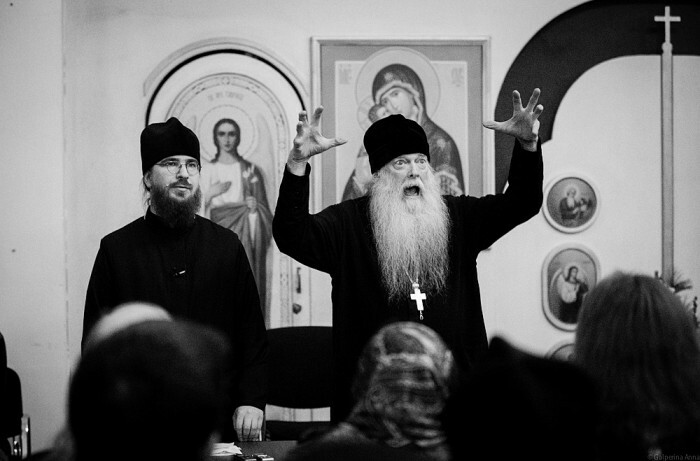 The meeting considered a topic to be chosen as a follow-up of the dialogue. 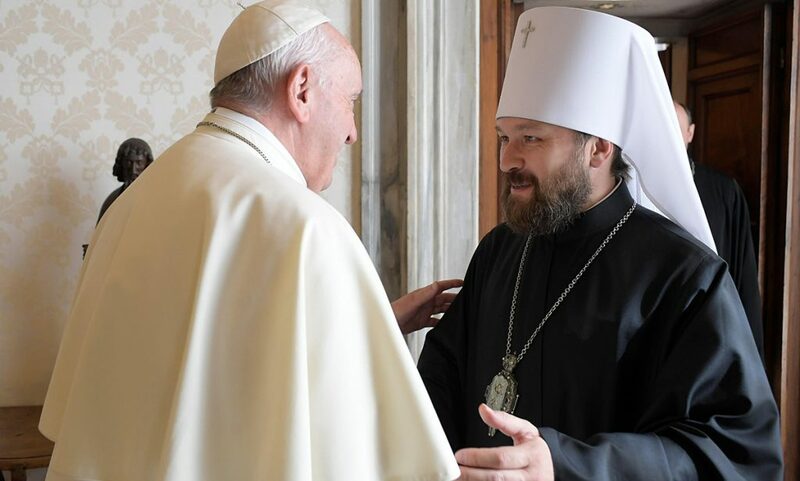 The head of the Russian Orthodox Church delegation, Metropolitan Hilarion of Volokolamsk, chairman of the Moscow Patriarchate Department for External Church Relations (DECR), put forward a proposal to devote the next stage of the dialogue to the theme of synodality and primacy in the Churches of East and West in the second millennium, stressing that in the framework of this theme the Commission should complete the discussion on Uniatism as a phenomenon which arose after the 1054 schism and which still constitutes a stumbling stone in the Orthodox-Catholic relations. 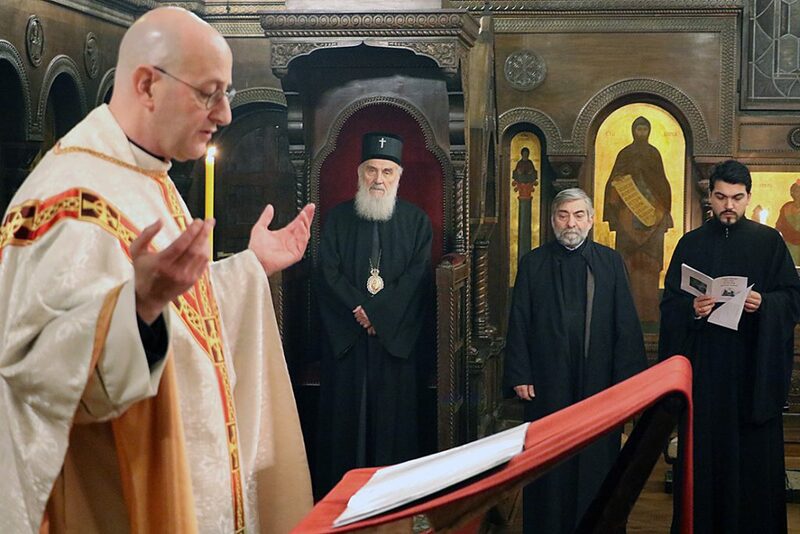 The Chieti document is a triumph for Orthodoxy. 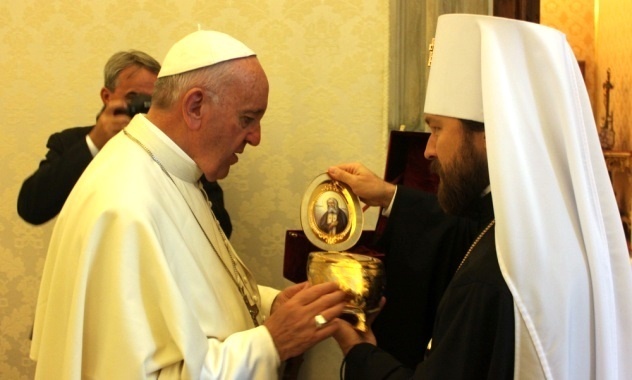 It presents sound Orthodox ecclesiology and utterly downplays the role of the bishop of Rome. 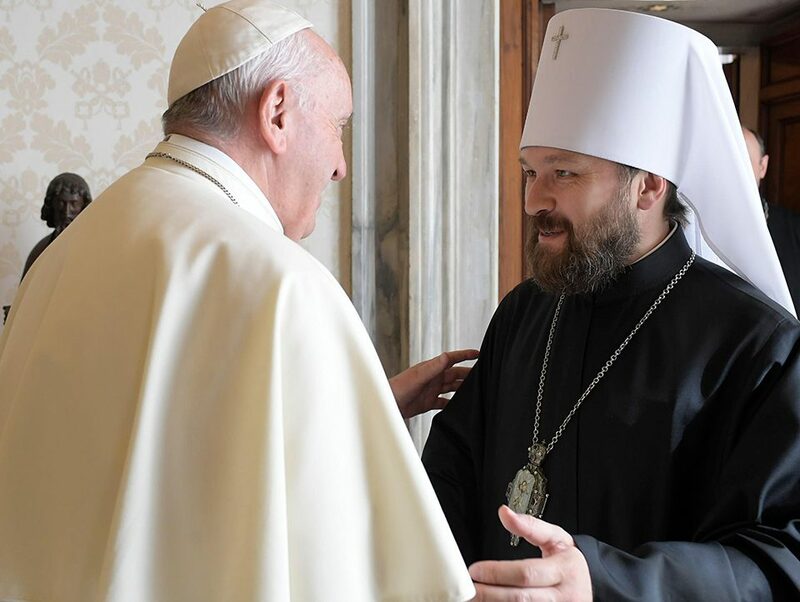 Some credit must go to Metropolitan Hilarion Alfeyev and Bishop-Elect Irenei (Steenberg) (of ROCA) who worked hard to roll back Ravenna.